The Mani Rimdu Festival is an enchanting, colourful and ritual occasion that takes place in the most spectacular settings of Himalayan culture. Performed by the monks of Chiwong and Tengboche monasteries, it depicts the victory of Buddhism over the ancient 'Bon' religion. The last three days of the festival is very important for the Sherpa hence, a number of people attain who often trek for many days to witness this important event. It consists nine days of ceremonies and meditation (Drupchen). This is concluded by a special blessing ceremony given by Tengboche Rinpoche to the public and the world renowned Mask Dance is performed by the monks at this secluded Tengboche Monastery. The following are the dates of Mani Rimdu events this year 2017 based on the Tibetan lunar calendar. 4th, 5th and 6th November 2017. Tengboche Mani Rimdu starts on the full moon of October, and the Chiwong Mani Rimdu on the full moon of November. 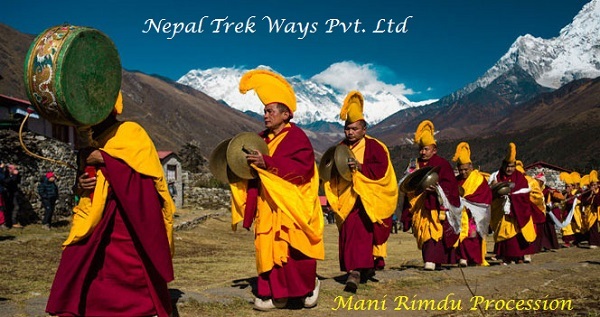 We arrange organized pre –post trek packages for you to witness this age old sacred festival of Everest Khumbhu Region to add exceptional life time trekking experiences. Contact Us to keep up-to-date about date for the occasion of this year which is set as per the Sherpa/ Tibetan Lunar Calendar. 1. Meet and greet in Kathmandu airport (TIA), transfer to hotel. 2. Rest and preparation, visit ancient old temples and sites (optional). 3.Fly to Lukla (2800m) and trek to Phakding (2610m). 4. 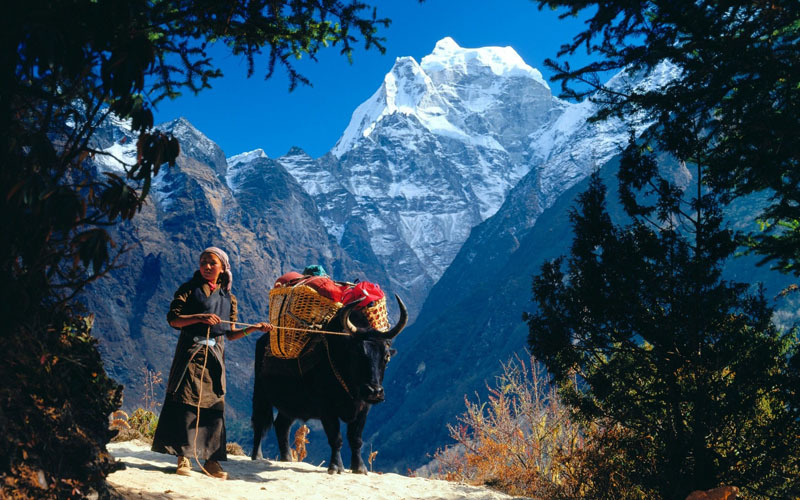 Trek to Namche Bazaar through beautiful valley along Dudhkosi River. 5. Rest and acclimatization day at Namche. Explore surroundings. 6. Trek to Tengboche (3870m), 5-6 Hours walk. Beginning of the festival. 7. Explore Tengboche Monastry, Watch Mani Rimdu Festival. 8. Explore Tengboche Monastry, Watch Mani Rimdu Festival. 9. Trek to Namche, 5, 6 Hours walk. Stay overnight at lodge. 10. Trek to Lukla (2800m) 7-8 Hours walk. Stay overnight at lodge. 11. Fly back to Kathmandu. Shopping and relax in Kathmandu. 12. Transfer to the airport and see you off for safe journey back to home. We can combine this event with other trip as well. Once you let us know your interest we can organize your trip accordingly. For the timing of the festival we will share with you accordingly. 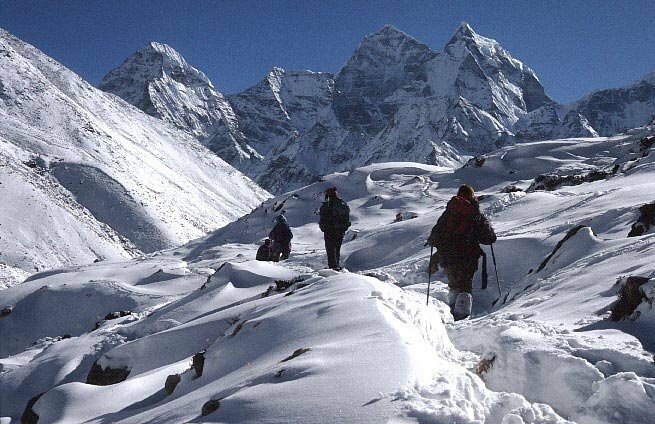 Nepal Everest base camp is to feel the triumph of being on the top of the world!Achieve the life time experience of this amazing adventure to the Mt.Everest Base camp.